A great way to increase your website’s SEO is by offering backlinks of your own to other websites. A backlink is an incoming hyperlink that goes from a webpage to another website. If you can make website owners to include links in their pages that go to your website, your SEO will definitely thank you for it. This being said, you will definitely need a backlink checker to accomplish this task. Search engines such as Google, Yahoo and Bing tend to assess the quality of external links that a website contains, and ranks the web page according to it (amongst other factors). So what can you do to seduce website owners to publish your links, and why would they do it? Well, it’s not unknown that many websites contain backlinks that no longer work, which are commonly known as broken links. Besides being unhelpful and upsetting for the users that try to open them, this broken links are aggravating the SEO of that web page. So if you offered the website owner a solution to this problem, they would probably take it: This is your chance to give the links of your web pages and make a win-win out of this situation. Now the million-dollar question is: How to get backlinks from a website, in a fast and practical way? There are many tools to find backlinks, such as SEMRush, but in this case we will be talking about Ahrefs. Ahrefs is a backlink checker tool that can also track keywords and brand mentions. 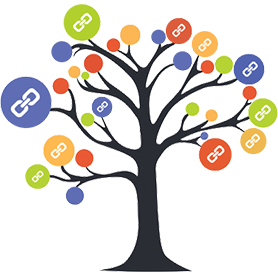 In this blog post we will be focusing on the backlinks, of course. How to use this backlink checker? Let’s suppose you have blog posts about the latest marketing trends and you want to check the backlinks of other websites that have similar content to the one you are working with. How can you know which websites are the ones that are working with the same content as you are, and how can you know if that websites have broken links without wasting many time in the process of knowing so? 3. 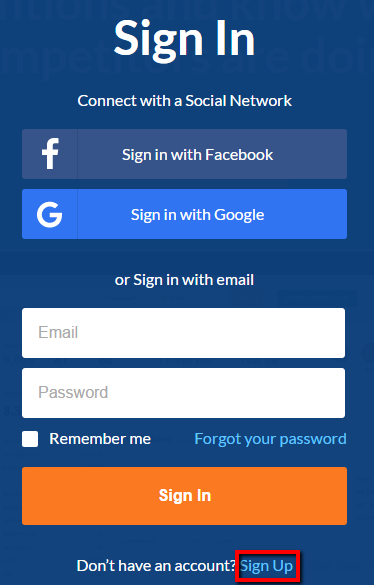 Insert the domain of a website that you know that has content similar to yours. Then click on Explore to get the backlink checker going. You will see statistics and numbers of the webpage you introduced, about its backlinks, referring domains, organic keywords, paid keywords, and organic traffic, amongst others. 5. You will see a list of websites that put as a backlink the domain you inserted. This means that all the websites that appear here are talking about the content you are working with: so if you find broken links in these sites, you know you can offer them links of your own to replace them. In the left column you will see the Referring page and in the right column you will see the Backlink. 6. If the Backlink doesn’t work, it will have a message in a red box saying 404 NOT FOUND. You can check that the Backlinks don’t work by clicking on them. 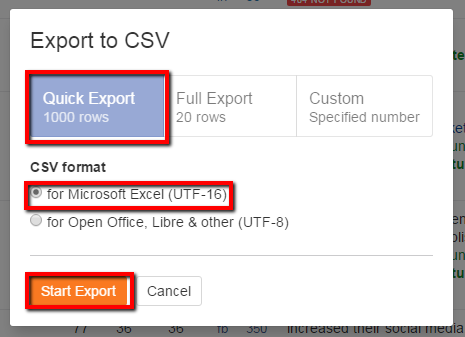 Then select the type of Export and the format that you want, and click on Start Export. That’s it! The backlink checker has given you the websites that have broken links. As you asked Ahrefs to show you the web pages that have backlinks about a specific domain (a domain that talks about the content you are working with) you know that all of those broken links are useful and can be replaced by your links. The only thing missing now is proposing to replace the broken links with your own links to the website owner, and you are all set!